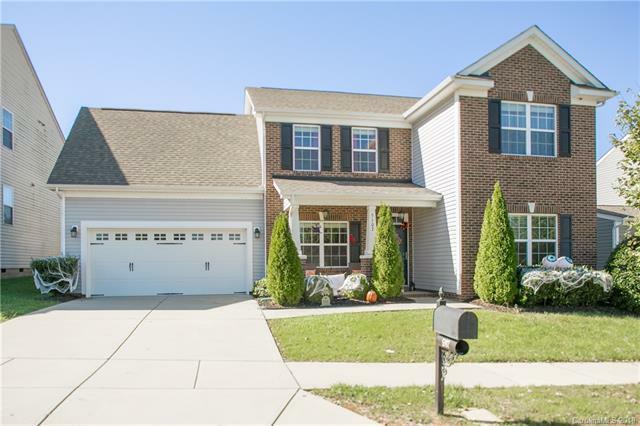 The newest home for sale in Gilead Ridge is loaded with upgrades! Interior upgrades include Gourmet kitchen with granite countertops, espresso cabinets, matching hardwood floors, stainless steel appliances with gas stove, modern backsplash and light fixtures throughout, dry bar, wainscoting, garage cabinets and epoxy finish. Very open floor plan with a flex den/room that can be used for many uses including turning into a first floor bedroom if wanted. Huge Bonus room can be used for many uses also. Exterior upgrades include a fully fenced (stained) back yard, stone fire pit, built in seating and patio. Located across from common area, walk to pool/play. An entertainers paradise with all of the outdoor living space. The home is also within minutes of Birkdale Village. Great neighbor hood with neighborhood functions yearly. Very fun place and inviting place to live.